I had intended to write about this for a long time, but I waited for the season’s end to do it. And the season had some interesting moments, which caused a lot of discussions, amplified by the change in the management team of the National Opera in Bucharest. Three new productions: Otello (directed by Vera Nemirova), Rigoletto (directed by Stephen Barlow) and Tosca (directed by Alfred Kirchner) and a long waited for revival, Faust (directed by Alexandru Tocilescu). All the rest – the current repertory, more or less interesting. All the three premieres had modern direction, and this was the spice needed for dividing the audience in two more vocal camps, besides the amorphous segment which just watched, without understanding too much, all this fret. Personally, I liked all the three premieres, first of all Rigoletto, then Tosca and finally Otello. If Rigoletto was a very well coagulated production, by far much better than the other two (we are talking here about the British theatre school, but also about the Anglo-Saxon show-biz), Tosca had Iano Tamar and, if Marcello Giordani had managed to come, than it would have been extremely difficult to separate the two performances. As for Otello, I had only one reason to be less enthusiastic: the fact that the stage design was, practically, the same for this four act opera, despite all the inspired finds of the director. Is it much? Is it little? Both, and I prefer to see the glass half full. As for the text that follows, I must precise from the very beginning (and I know some readers will be disappointed) that I did not use any information from the interior of the National Opera, for a very simple reason – I do not have such information. All the judgements I will present herebelow are based on public information, whose source will be mentioned. The job of general manager of an opera is not at all what most melomaniacs think it is. The stress is enormous. Not only because the general manager has to appease the vanities typical for a theatre, but each day when the opera has a show means facing a potential disaster. Will the primadonna be able to sing her difficult part tonight? Will the new production fit into the budget? Will the ministry give him more money? Will the employees start a strike? Will the audience come? What will the critics say? But the most important question he will never be able to answer is: Will this opera exist next year too? They will find the answer at the end of the season… On the other side of the barricade we find the soloists, who have only one responsibility, towards themselves first of all: to sing well. And for them, this is all that matters. I think there is no such thing as a nice opera manager. In fact, the most important opera managers have always had very difficult personalities, mainly for the artists. Antonio Ghiringhelli becomes the manager of Teatro alla Scala in 1946 and for two decades makes this theatre the centre of the operatic universe. Toscanini opens this mandate with a legendary concert, then we will have the reign of Maria Callas and of Renata Tebaldi. Nevertheless, the artists did not have fond memories of this man, almost inflexible in front of compromises. 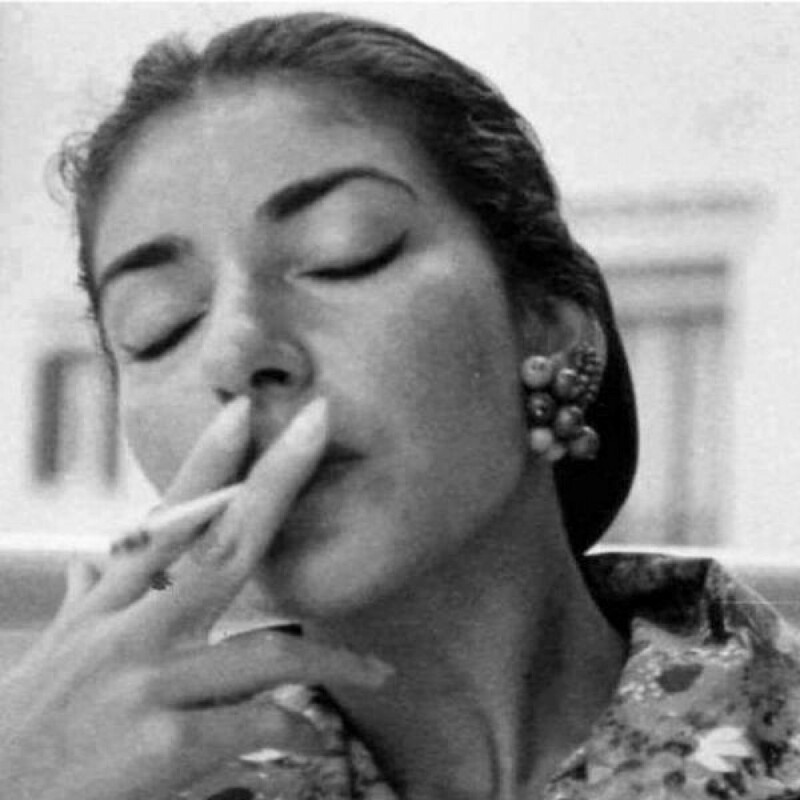 A well known scene is that of Maria Callas singing Bellini’s Il pirata and pointing to the sovrintendente’s box when pronouncing: Il palco funesto per lui s’inalza… I don’t need to translate this, but I will just mention that palco has a double meaning in Italian: scaffold (the one prepared for the execution of Maria’s lover in the opera), but also box (from where Ghiringhelli was watching her). What about Rudolf Bing? Highly famous manager of the Metropolitan Opera between 1950-1972, when the American audience was amazed by tenors such as Jussi Björling or Franco Corelli, who were practically permanent employees of the theatre. Zinka Milanov and Renata Tebaldi were fighting for world supremacy on this stage. Though, even today, some divas’ memoirs are marked by a thrill of horror related to this manager. What did all these managers have in common? Autocracy, but also vision. They promoted potential stars, but they also tamed some divas’ whims. And success. Without it, all these managers would have quickly dissapeared. This is the reason why I cannot join the chorus of protesters asking me to throw ink on the clothes of opera managers. I will do this neither for Răzvan Dincă, nor Beatrice Rancea, or for others. As long as these persons have not betrayed their vocation, have kept their promises and have fought to realise something for their theatres, they deserve all our respect. Schedule of the performances 2014-2015 defined from the beginning of the season. The target is to know exactly, at least one year before, what operas will be sung and when. Foreign guests for the main parts, mainly Romanian artists with important international careers. Renovation of the Opera, a new building for Operetta theatre, rehearsal hall for the opera. At the first glance, the project is very feasible, and it represents a normal vision of what should happen in an opera theatre. It is practically impossible to invite opera stars to sing in Bucharest, as long as their agendas are full for years in advance, especially for the best of them. And it is the moment to puzzle out a matter related to costs: an international star is paid around 10-15.000 EUR for a main part/night. It is a big amount, but it is not out of this universe. But, between 12.000 EUR in Bucharest or in Vienna, those artists will not choose Bucharest if they doesn’t know when, what and with whom they will sing. First and foremost, we must show a concrete proof of professionalism. As for the seven premieres, although it sounds fantastic, I think this is a rather optimistic statement. Metropolitan Opera has only five next season, out of which four new productions and one brought from the Covent Garden (and nobody cries against the „import”). I am cautious and very curious about the appointment of a music director/principal conductor. Usually, these two notions include the same person. The responsibility of such a job is very big – will BNO delegate to a conductor the necessary authority? Tiberiu Soare, the one who seemed to have all the qualities necessary for such a responsibility, left precisely because, he said, the management interfered in the conductor’s responsibilities. Autocracy. Those who stayed… I don’t know, but all over the world this position is occupied by somebody with a very strong personality. James Levine until recently at the Met, Antonio Pappano at the Royal Opera, but we must remember that Daniel Barenboim did not cope with the requirements of La Scala. Who could do something at the BNO? I continue to be extremely puzzled by the fact that an artist of a very high level, such as Christian Badea, who has constantly conducted in all opera houses all over the world, has never conducted at the Opera in Bucharest. And we are talking about a conductor who comes often to Romania, and who conducts very high quality concerts at the Romanian Atheneum or at the Radio Hall, he is not at all inaccessible. Why don’t we dare more? He could be what Rafael Kubelik was for Covent Garden, a constructor of a competitive orchestra, a person of good taste who set a level of artistic quality hard to reach. All things considered, Christian Badea could do this for BNO. Even if this article is focused on the opera, I want to stress that supporting the ballet is an initiative worth praising apart from the artistic aspects. A ballet company is much more cheaper than an opera company. Moreover, a good ballet company makes profit. Not all opera theatres have a ballet season, but they use the dance only for utilitary purposes (for the ballet parts in opera), therefore the solution for making profit is to go on tour. An essential condition: perfect quality. This was the case, and it still is, of the Royal Ballet, which, for decades after the war, was a source of self-support for Covent Garden, where the state subventions (received starting 1946) were insufficient for several years (for more information, I recommend Francis Donaldson’s excellent book – The Royal Opera House In The Twentieth Century). This is the real stake for bringing Johan Kobborg and for creating a competitive company, even with Japanese ballet dancers. 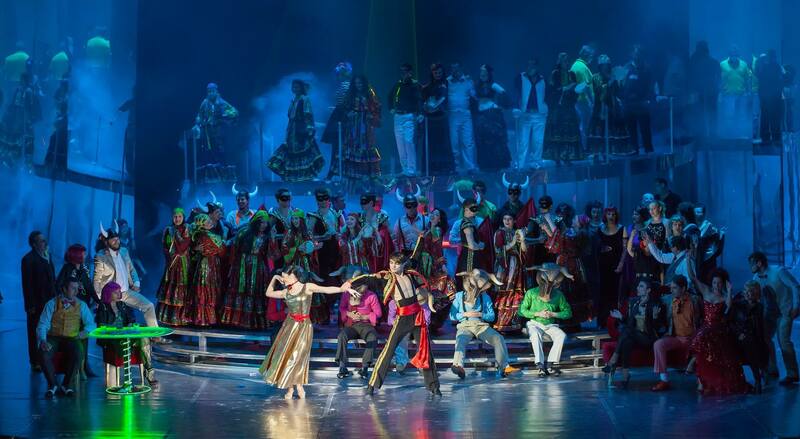 Before the opening of the season, there was a lot of talking about the Romanian opera and operetta. Like in any other discussion about something that would be, there were pessimists and optimists. Some said it would be bad, others said it would be good, and yes, and no, and the discussion heated up and, apart from all this, we could here some four-letter words. Which made some people get angry, and, later, made the Directorate of the Theatres refuse the pessimistic newspapers their right to enter the National Theatre, according to the custom and the good manners. […] Lucky us that we didn’t take any sides in that discussion! We have tickets and, because we want to keep it, we promise the management to be perfectly gentle. […] The season was finally opened, in defiance of the pessimists. And it opened directly with an opera. As for the rest, I have no reasons not to believe the statements of BNO’s management, for the very simple reasons that all that Răzvan Dincă announced in an interview, in September 2013, proved to be real: Kobborg’s appointment, Barlow’s Rigoletto, four performances with Tosca; the only difference was the absence of Marcello Giordani, but this was not BNO’s fault. Moreover, we start here from the presumption of innocence. When we read these figures, they seem clear. But we should compare them with other opera companies around the world. Because of the difference of size, we will not make comparisons with the Metropolitan or with Covent Garden, even though some details might be relevant. Starting 2014, the British magazine Opera Now publishes in each issue an article dedicated to an opera company, with a lot of interesting data, that the Romanian spectator can read with less inferiority complexes. Total budget: 83 million EUR, out of which state subsidy: 54 mil. EUR – covering 65% of the budget (the Canton of, with 200.000 citizens, provides this money), private subventions: 4.1 mil. EUR, and the rest is covered by the ticket sales and other self-financing sources. The theatre functions on a stagione basis (and not a repertory): 8 opera productions and 3 ballet programmes. For 2014-2015, we are expecting 5 new productions and an imported staging (Porgy and Bess). Music director: Neeme Järvi (conductor of the Orchestre de la Suisse Romande); Director-general: Tobias Richter – who mentions, in a mini-interview, that Swiss bureaucracy is heavy. 800 employees, but in this case we analyse only the opera. Staatskapelle Dresden provides the orchestra, with 154 full-time musicians, which is pretty rare in the musical world. Stagione season, but the productions go to several cities. Manager: Helga Schmidt (former artistic director at Covent Garden, when she was 33, now she is 72). When appointed in Valencia, she asked for a budget in order to make a good orchestra. Now, regular conductors of the house are: Zubin Mehta, Riccardo Chailly and Plácido Domingo. Because of the crisis and of the cuts in the budget, they gave up Wagner’s Ring and Strauss’ Rosenkavalier (the royalties were too high). But they will have new productions of La traviata and La bohème. The budget for 2014/15 was announced on December 23rd 2013, and this raised enormous problems of planning (in order to know who you can invite, you must know how you can pay). The article does not include any financial data. Stockholm has two opera theatres – Gustavian and Oscarian (with the biggest number of performances). Manager: Brigitta Svenden, Music director: Lawrence Renes (Netherlands) – after many seasons without a principal conductor. The Government is willing to give 246 mil. EUR for a new theatre, the management refuses. It seems unbelievable, but the reason is that, once you put so much money in a superb building, you need a very big budget in order to use it at the proper level – international stars, expensive productions, etc. The policy of the opera is moderated, as they count on the local talents who have become international stars but who return to sing in Sweden: Nina Stemme, Iréne Theorin, Katarina Dalayman. Director-General: Plamen Kartaloff – big Wagner fan, who, after a visit to Bayreuth in his youth, swore to promote Wagner in Bulgaria. Now he has the chance to do it. The most important recent successes: a premiere – Wagner’s Ring (2013) – exclusively with Bulgarian interpreters (trained like the Romanian ones, in the Italian canto school), the success was huge, and Boris Godunov – outdoor performance, in front of Alexander Nevsky cathedral, in Sofia. In 2015 a new production of Tristan und Isolde is scheduled. Kartaloff’s policy is rather radical: giving up Aida and Traviata, for operas which are less sung in the Balkans: Lakmé, Povestirile lui Hoffmann, Werther, Robert le Diable – obviously, all of them in new productions. Kartaloff does not give any financial information, but the biggest problem of the Opera House in Sofia is the one we have in Romania – how to convince the political class, no matter what party has the government, that it is extremely important to fund this art. This is the situation around the world. The big shock is the consistent public funding for the opera. With a budget of 4,5 million EUR, BNO is far behind other operas. Let’s add this is the biggest budget of an opera theatre in Romania. In fact, the complete answer BNO’s manager gave about the budget is: I can tell you, if I am not mistaken, around 4,5 million EUR, or something like this. But 70% of this budget are salaries, then 10 – 15% are administrative expenses, capital, and the rest is for cultural projects. […] Though, the important part is not the budget, but how we can increase it. Is it possible to have in Romania a public subsidy (from the budget of the Ministry of Culture and from the local budget) of 20 million EUR for an opera theatre? It is not impossible, if we take into account the black holes created in the state budget by the highways that are never finished or by other big projects, that swallow impressive amounts of public money. On the other hand, the quality of the performances in the opera theatres all around the country is so low, that what is needed is a profound reconstruction, starting from the basic principles: a good orchestra, functional and professional ensembles, etc. In time, as the quality will increase, the subsidy will have to increase, too. From this perspective, maybe 4,5 million EUR seem a reasonable amount, but it is essential that in 2015 it increases significantly, and in 2015-16 we must reach at least 12-15 million EUR in order to have a European level opera. Let’s see some figures, compared to Grand Théâtre de Genève: If a community of 200.000 inhabitants, with a GDP per capita of 48.000 EUR, gives 54 million EUR for the opera, then Bucharest, with 2.000.000 inhabitants and a GDP of 13.300 EUR, should have absolutely no problems in providing the same amount. The population is 10 times bigger, while the GDP is only 3 times smaller. Taxes are smaller in Switzerland than in Romania. 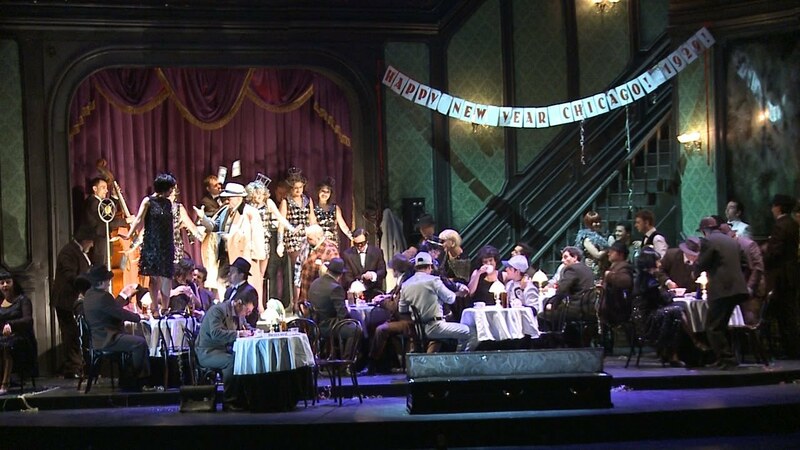 A rule of three shows that Bucharest has the capacity to fund Opera with at least 100 million EUR. Still, BNO’s budget is nearly 20 times smaller than the budget of Geneva Opera. If the mayor of Bucharest is still curious to know why the biggest party in Romania cannot attract intellectuals, here is a possible answer…. But even like this, reduced to the stage where we have to innovate from nothing, like 30 years ago, when Romanians repaired the Dacia with a patent and some wire, unexpectedly good things happen. Rigoletto at the National Opera in Bucharest, Andrei Șerban’s productions from Paris brought to Iași (we had Les Indes Galantes, but in 2014-15 we will have Lucia di Lammermoor and Italiana in Alger), even the new productions of La Traviata and La bohème, far from being just decent (they are really good! ), show the exceptional management skills of some managers who are too quickly and too severely judged. And with what money? With almost nothing! with budgetary stunts without safety net. With bows in front of the politicians, that make these managers nothing else but a sort of Violetta Valery, even though people have a different opinion. Because the Opera is apolitical and all the political parties must understand this and must do their best in order to fund this complex art. The Opera cannot afford political combats, but it has the capacity to seduce politicians for money. The opera managers should have a new target: to make the prime minister prefer a premiere in a Romanian opera house instead of the New Year Concert in Vienna. And it is a reasonable target. Modesty is the scenery for young talents. A primadonna who receives a very big fee, even talented, makes proof of lack of modesty, or every beginning must be modest, though daring. For instance, you can have a bad start, no talent, no knowledge, nothing: this means courage and must be praised, but only if it is modest. The public must not be pretentious. They must not forget that this is a new beginning for the Romanian opera, maybe a daring one, but, nevertheless, modest. […] The public must dare encourage it and must be modest in its pretentions. In Iași, the manager of the Opera, Mrs Beatrice Rancea, is accused of having too much ego, some even suggest a cult of personality. Everybody seems to forget that, before her, many citizens of Iasi did not know their city had an opera, that the auditorium was empty, that Iasi had produced very few important voices (only Viorica Cortez and Doina Dimitriu, and I will leave it to the contesters to add to the list). In Iași, things have evolved from scratch to a wonderful promotional campaign for the opera, all over the city, as if we were in Salzburg, during the festival, and not in a small city where very young voices, just stepping out of the chorus, manage to have full house, with spectators who come to admire their youth and their courage to dream. Maybe we should remember that, at the Metropolitan, Rudolf Bing had an anniversary gala when he retired. James Levine was celebrated with a gala for his 25 years of activity (he has passed over 40 recently), Vienna celebrated Ioan Holender’s departure with another gala, published on DVD. And nobody has ever mentioned a cult of personality. I agree – in New York, or in Vienna, there are no priests and no mayors on stage, giving prizes or speeches, but this is how things happen in Romania, things will evolve…. Stop shooting the managers! 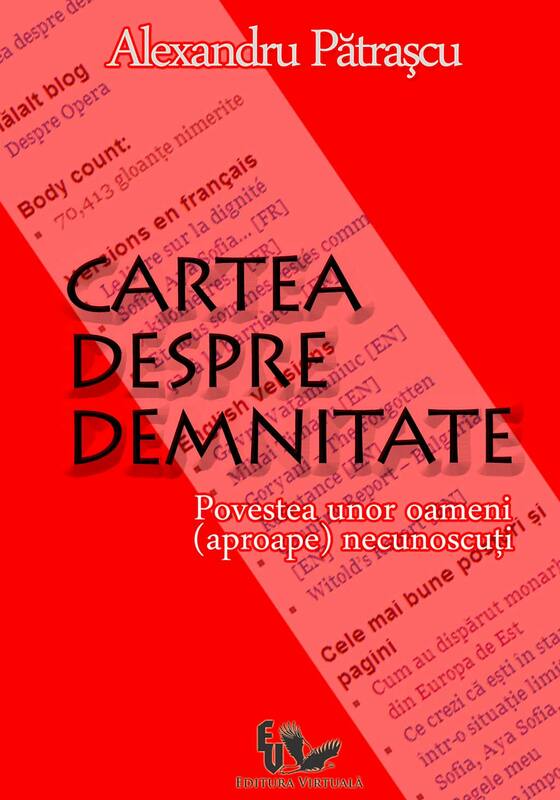 At the end, I return to Ion Luca Caragiale, for the up-to-dateness of his thinking, for the sarcasm only a man with a real European mentality could have. In order to have an opera company, one needs three things: money, money and money; and pas d’argent, pas de chanteur – no money, no singer. […] In order to have an opera theatre, and especially a national opera theatre, one must have courage, courage and courage again. […] The big stages of Europe still observe the old rule. Instead of courage, they use money. A grupetto, a trill, a cadence cost thousands of francs. Such a system of corruption, such venality! I prefer our national simplicity: clean morals and manners, small salary, big courage, free of charge trills. *Note: Ion Luca Caragiale (February 13, 1852 – June 9, 1912) was a great Romanian playwright, short story writer, poet, theater manager, political commentator and journalist. He is considered one of the greatest Romanian playwrights and writers, a leading representative of local humour.